Save by combining your flights and lodgings. Expedia has plenty of outstanding Chipiona travel packages that'll simplify things and give you more cash to splurge! Our enormous global database allows you to browse more than 321,000 properties worldwide and 400 partner airlines. With such a terrific range of options, designing your dream vacation will be easy! There's no limit to the number of awesome things you can do when you're in a new destination. So why not get your trip to Chipiona off to a flying start by perusing some of our ideas? After all – out there starts here! For generations, Chipiona Lighthouse has dutifully shown lost vessels the way through the storm. Plan an outing to this enduring landmark and learn its stories. There's a wonderful range of things to do in and around this destination. When was it built and what events occurred there? Strive to find the answers to these questions during a visit to Shrine of Our Lady of Regla, a historically important building. Still have some time on your hands? Chipiona Fishing Corrales is an ideal setting to learn all about the daily care of livestock and life on the land. In case you're asked to lend a helping hand, it might be wise to slip into some sturdy boots! Sadly, there are no accommodations right in the center of Chipiona. That said, you'll locate no less than 15 options within an easy drive. Luxury getaways and cheap vacations — Expedia can help you out. 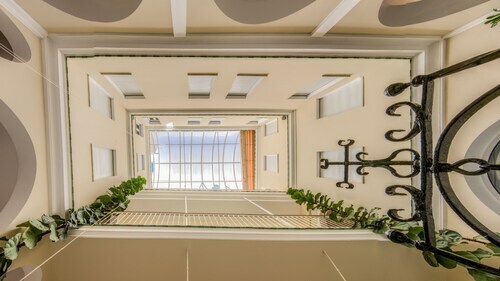 If you have your heart set on somewhere with good facilities and amenities, make sure you check out the Life Apartments Costa Ballena (Avda. 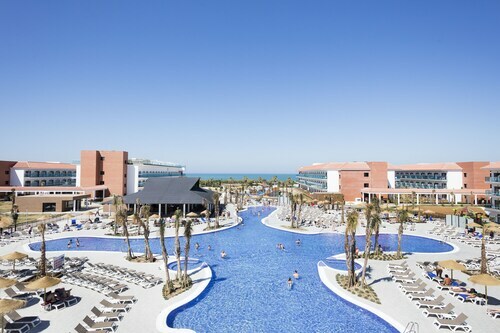 Juan Carlos I, S/N, Costa Ballena) and the Barceló Costa Ballena Golf & Spa (Urb. Costa Ballena. Avenida Reina Sofia). Let's be honest, no one looks forward to standing around at the airport. However, if you focus on the unforgettable trip to Chipiona that you're about to have, you should be able to manage. After all, you'll be just 19 miles (31 km) east of the neighborhood center when the plane comes in to land at Jerez de La Frontera Airport (XRY). This family-friendly Chipiona hotel is located by the sea, within a 10-minute walk of Playa de las Tres Piedras and Golfo de Cádiz. Ballena Beach and Costa Ballena Ocean Golf Club are also within 2 mi (3 km). 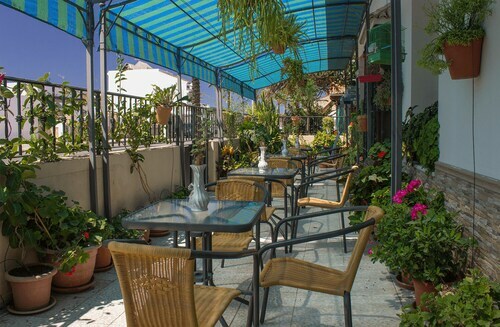 Situated in Chipiona, this pension is within a 15-minute walk of Rocio Jurado Monument, Chipiona Marina, and Moscatel Museum. Golfo de Cádiz and Parish of Our Lady of O are also within 1 mi (2 km). Situated by the sea, this hotel is within a 5-minute walk of La Regla Beach, Monumento a la Luz, and Chipiona Lighthouse. Moscatel Museum and Golfo de Cádiz are also within 10 minutes. 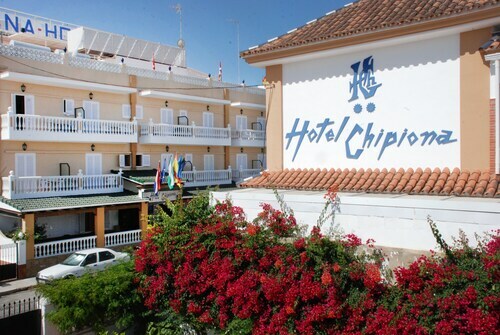 Nestled on the beach, this Chipiona hotel is just steps from La Regla Beach and Golfo de Cádiz. Monumento a la Luz and Chipiona Lighthouse are also within 5 minutes. 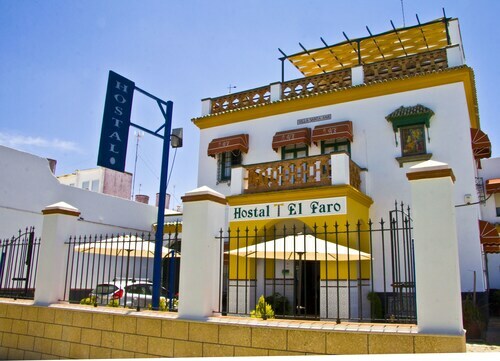 Situated in Chipiona, this golf hostal is within a 5-minute walk of Chipiona Lighthouse, La Regla Beach, and Golfo de Cádiz. Chipiona Castle and Moscatel Museum are also within 10 minutes. 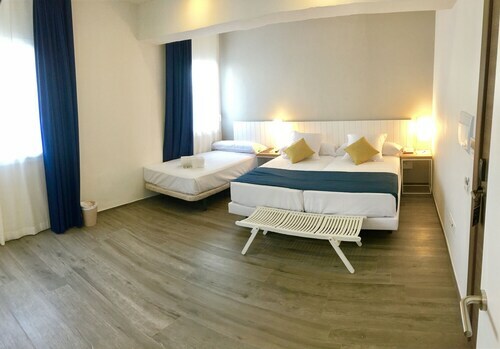 Situated in Chipiona, this hotel is within a 5-minute walk of Chipiona Lighthouse, La Regla Beach, and Golfo de Cádiz. Chipiona Castle and Moscatel Museum are also within 10 minutes. 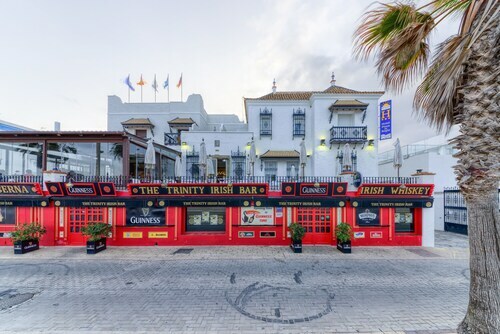 Situated in Chipiona, this hotel is steps from Chipiona Castle and Parish of Our Lady of O. Moscatel Museum and Chipiona Lighthouse are also within 10 minutes. Located in the heart of Chipiona, this hotel is within a 5-minute walk of Moscatel Museum, Golfo de Cádiz, and La Regla Beach. 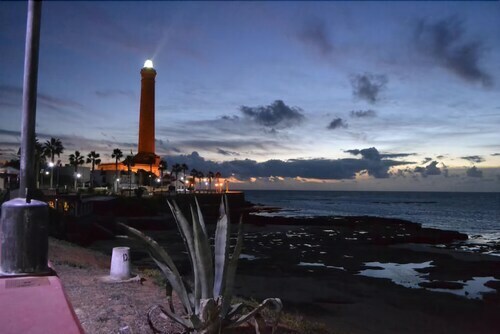 Chipiona Lighthouse and Monumento a la Luz are also within 10 minutes.